If you're looking for a simple Instagram Marketing Strategy that absolutely anyone can follow, no matter how busy or tech UN-savvy you are, then you'll want to devour this post. 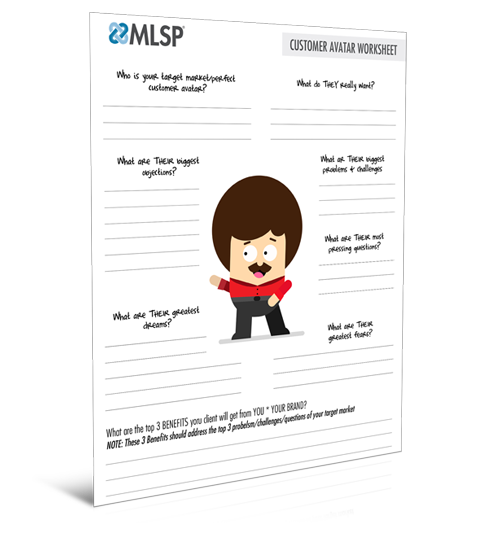 This is about as simple as it gets for generating consistent daily leads and sales. All right from the palm of your hand in as little as 15 minutes a day. What's easier than that? 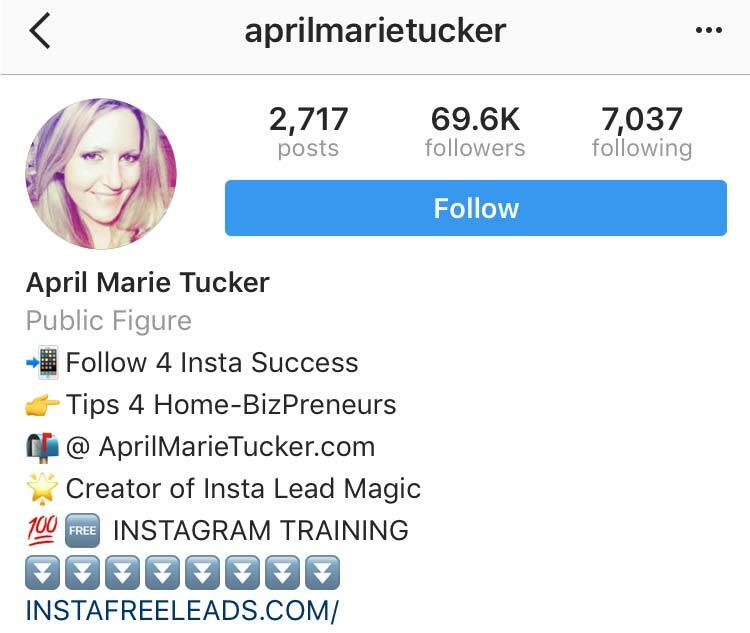 In fact this is the same exact Instagram strategy that MLSP top leader April Marie Tucker (a.k.a. 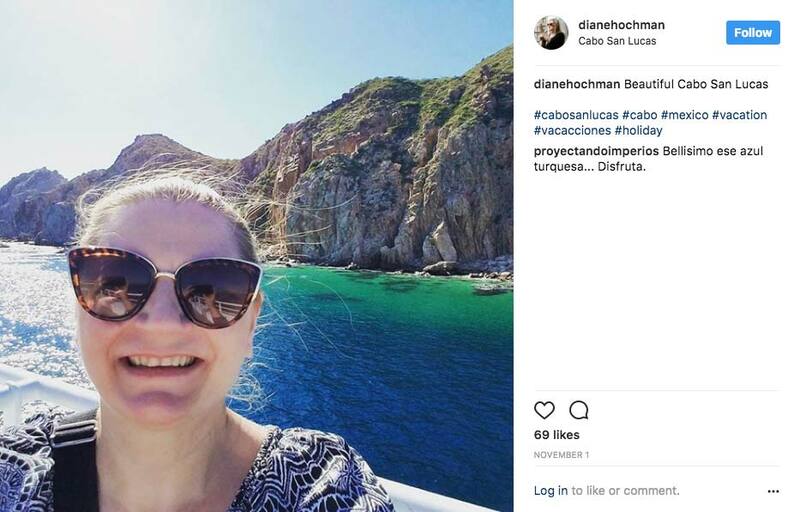 The Instagram Queen) used to get nearly 30K leads, and hit one of the top leadership levels in our affiliate program. 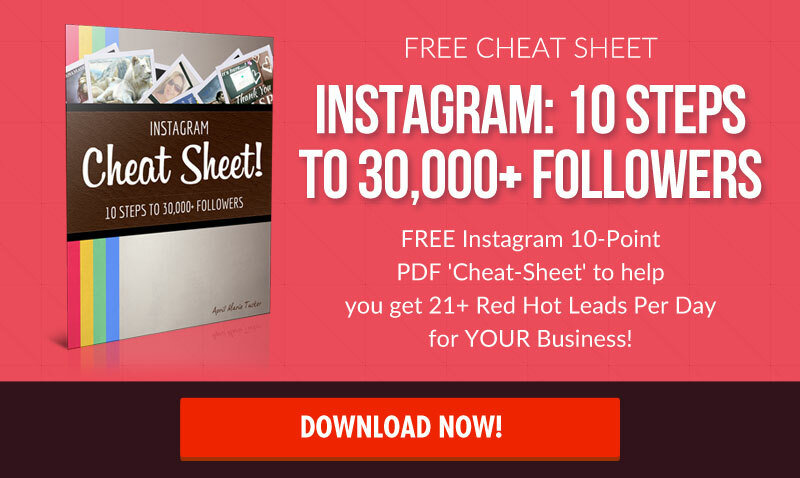 We'll lay it all out for you right here, so that you can literally start getting Instagram followers (and VERY possibly leads) starting today. As we pointed out above, Instagram makes lead generation simple. 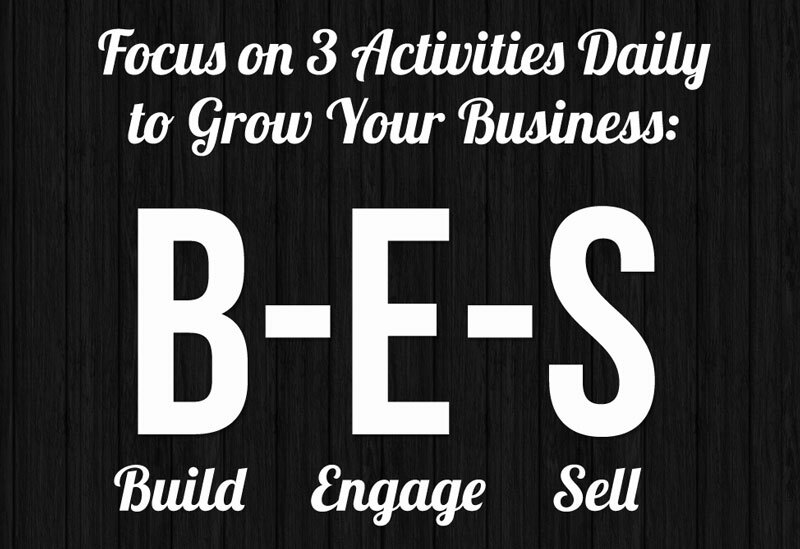 At MLSP we have broken marketing down into just three essential steps that works everytime when done right. The best part is that you don't have to spend hours and hours a day using this app, unless you want to of course. You can literally build your business in just 15 minutes a day once you get the ball rolling. Even if you're not tech savvy, you can learn to use Instagram effectively, and do everything that you need in mere minutes. 8 year olds and grandmothers are on Instagram all day long. Anybody can do this. YOU can do this! Normally we'd be walking on thin ice to make a statement like that, and we rarely do. But with Instagram it's just true, and we've seen it enough that we can be comfortable to say that you can get almost instant results with Instagram. You can start getting followers in minutes, and start building your audience. There Are 700 Million Active Instagram Accounts. More than half of those users are active on a daily basis. Which means they hop on to check Instagram at least once a day to catch up. In fact one of Instagram's newest updates in 2017 are business profiles, which allows you to track your activity! Time Spent Watching Videos on Instagram Grows 80% Year Over Year: Video is one of the best ways to grow instant KNOW, LIKE, and TRUST for any business. So you can bring your video marketing strategy right over to Instagram and start killing it! 2 Million Monthly Advertisers on Instagram: Paid ads are rapidly growing on Instagram. While you may want to start out using Instagram for free as this article will show you to do… paid is a great way to up your game and start leveling up your business when you're ready. And now you can do it all right from your smartphone! 75% of Instagram Users will visit a website after checking out an Instagram Ad. This is due to the way Instagram integrates their ads seamlessly into the feeds. All this means that your reach for new prospects and targeted leads is huge on Instagram, and it just keeps growing every single year! How to Leverage the Instagram Algorithm and Amp Up Your Instagram Strategy! Instagram wants to create the best user experience they can so that people keep coming back, using their app. (Which is good for you.) The Instagram algorithm is set up to show users what they care about the most. Their newest algorithm changes this year actually means that your posts will stay alive longer, because they'll be shown to the people who care the most about your content. It's up to you therefore to get targeted followers and engineer the atmosphere for them to care about YOUR posts. According to “The Instagram Queen” April Marie Tucker , Instagram will measure if someone stops to look at your posts versus just scrolling on by. So you must stay relevant to your target market's wants and needs, which is really just attraction marketing 101! And of course just like Facebook, the more engagement you have on your posts, the more your posts will get shown to your followers. April Marie Tucker Reveals How to Expand Your Reach On Instagram in the Video Below! 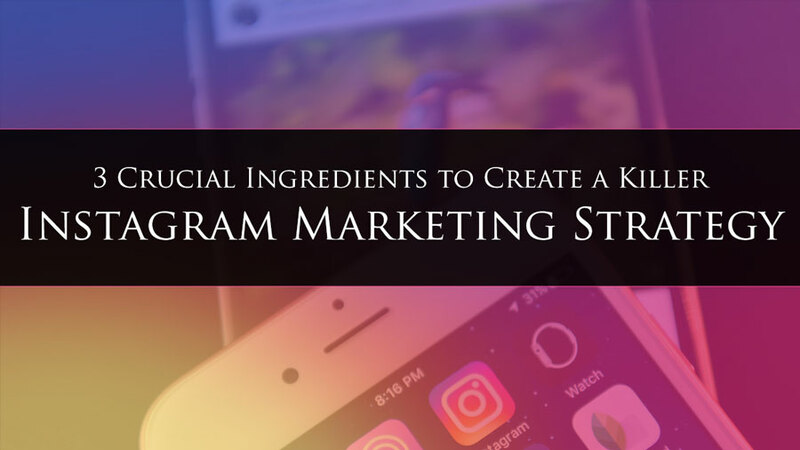 3 Crucial Ingredients for a Killer Instagram Marketing Strategy! Your bio will be the first thing that your prospective followers will see. It's also what your followers will see every time they visit your profile. This is your most precious real estate on Instagram. Mainly because of the fact it's the only place that you can add a clickable link. And of course that clickable link will be where you send people to become a lead! Immediately Show Followers What You're All About and What They'll Get! You want your followers to know exactly who you are, why they should follow you, and what they'll get when they do. Your Profile Pic: This should be a friendly and welcoming picture of YOU. This should NOT be a picture of your product, the logo for your primary company, or even your own logo. You're building a brand of YOU. And that's what people should see when they get to your page. Your First Line In Your Bio: The very first line in your bio should tell people to follow you, and tell them why. 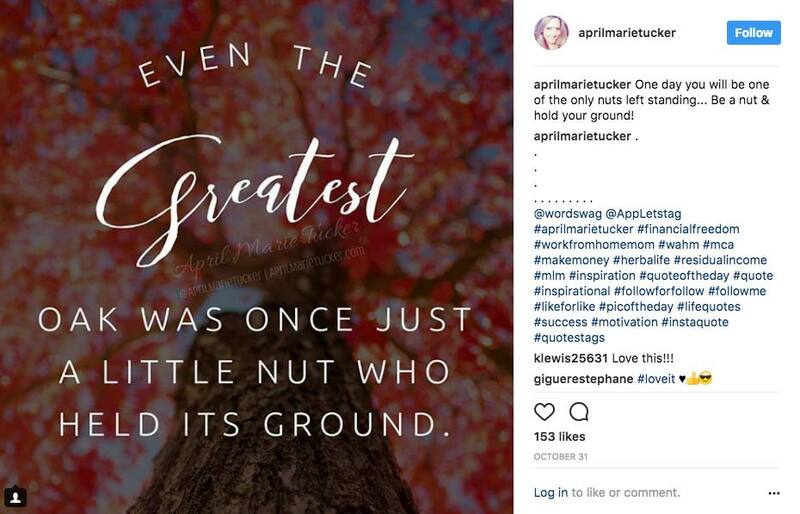 April Marie Tucker uses the line “Follow for Insta Success” because she is the Instagram Queen! 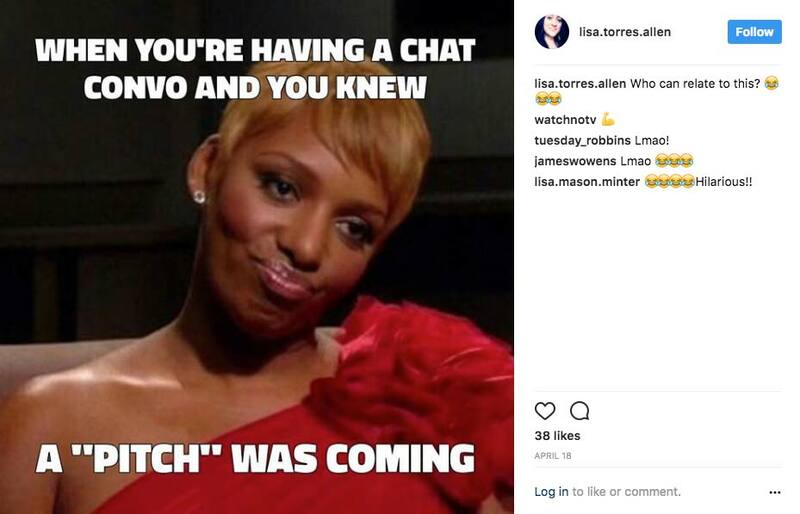 She shows people how to grow a business through Instagram alone just like she did. You get the idea. Whatever your niche is, and whatever your target market wants…let them know that's what you'll be showing them! Add Info About YOU: People want to follow people. Tell people who you are, what you do, and why you have credibility. Want some examples from professionals in the home business field? Send Your Leads to a Capture Page: This is where the rubber hits the road. This is how you'll get leads from Instagram so you want to make sure you get it right. It's absolutely vital that your link goes to a CAPTURE PAGE (not a blog) or you'll be leaving leads and money on the table. You can add a call to action like “Free Instagram Training” and then use emoji arrows or downward pointing fingers to get attention to your links. Don't have or know how to create a capture page? A membership with MLSP can help with that using the incredibly simple and professional Funnelizer! Click Here for a Test Drive! Instagram is no different than any other marketing platform. The objective is to build your brand, and get people wanting more from you. Which means you want them to go to your capture page and become a lead. To do that you MUST share valuable information that people are looking for. That makes them see YOU as a leader. The person that can help them get closer to their goals. When setting up your bio, you already showed them what to expect in your bio. Now you just need to give that to them inside your posts to keep things relevant. Your posts should capture attention as people scroll, and give people good reason to engage. If your business is allowing you to travel, or do things that you wouldn't normally do without success, then that can be very motivating to people. Be niche specific. If you're in the fitness niche or weight loss niche, then pictures of you working out might work. Pictures of a healthy plate, or new recipes are great. If your niche is email marketing and list building, people don't want to see pics of your dinner every night. But if an email converted like crazy, and got you a big payday, a plate full of steak and lobster might be a great way to make your point and inspire folks to want to know more about what you're doing! This is why knowing your target marketing and niche is extremely important! People love quotes because they make them feel good. Whenever one of YOUR posts makes someone feel good, or feel hope, they will associate that good feeling with YOU! Creating your own quote picture is so easy these days you can make them in a matter of seconds! Memes seem to be running the internet these days. People love them. Funny memes. Inspirational memes get attention, and often cause people to engage with and even share your posts. They may tag their followers, which brings you more followers. Of course a meme is wasted if your niche market can't relate to it. So keep it niche specific to your target market. Memes can be images, videos, or even just text, and/or a combination of all of those things. Videos are important in marketing because they give people a chance to know who you are. Videos are fairly new to Instagram and already they're causing massive engagement. Again there's an 80% growth in video watching time on Instagram. MLSP PRO TIP: Should You Schedule Posts on Instagram? You have to be careful with using schedulers. Instagram's terms and conditions don't allow for auto-posting, and this can cause you to get your account removed. One tool/app that April-Marie Tucker uses that does allow you to schedule and pre-load your posts is Hootsuite. You may have heard of using this tool for other social media platforms, such as marketing on Twitter. It also works for Instagram. Only instead of auto-posting it will simply send you a push-notification to your phone when it's time to publish your post. You'll have to download Hootsuite, link it to your Instagram, and set up your posts. Obviously none of the above means much if you don't have followers to see your posts. Getting followers should be part of your daily routine. The beautiful thing is that it's not brain surgery and just takes some common sense and a basic understanding of attraction marketing. 3 Simple Ways to Get Instagram Followers Fast! As with any successful strategy, your Instagram marketing strategy starts with knowing who your target audience is! If you're marketing to everyone, then you're really marketing to nobody. When you're specific with your targeting, it's exactly what causes you to to get highly targeted follower, leads, and sales. Another added benefit is that by the time you call these people, or they get to your marketing funnel…they're already halfway there to buying your products or joining you. It makes your job easier, and acts as a shortcut. They're sold on the dream. They want a successful home business, they're just lacking the ability to get leads, and become a leader. YOU will be the one that shows them how! If you've been online for more than an hour, then you've likely already come across a #hashtag. Hashtags on Instagram act as keywords. People do search for keywords, so using them in your posts is one way to get people to find YOU. And then you can simply tap them on the shoulder and get their attention to follow you! 3: What to Do Once You Find the Perfect Customer for Your Products, Services, or Opportunity! Once you've used the steps above to find the perfect prospects here's how to get their attention. They'll get notified that you've done these things, and very likely start following you back. WARNING: Don't spam them and send them messages until after they've followed you. Doing this will do nothing but repel them away. We're attracting people, and the above should do the trick most of the time. You should however direct message new followers. This will allow them to have a more personal connection with you, be more likely to watch for your content, and maybe even bring them back to your profile so they click your link. This will also show Instagram that you are important to them so they see more of YOUR posts. Watch the Video Below to See How ‘The Instagram Queen' Gets Followers! While you don't need them, there are some tools that you can use to make things easier, as well as make you look much more professional. Ripl – lets you create memes, quotes, etc. Word Swag – Create quote images with fancy backgrounds. Lumyer – Allows you create animated pictures. This is a great tool that lets you re-purpose your posts. Click Play Below for a Demo of Word Swag! You Now Have Everything You Need to Get Started With Your Instagram Marketing Strategy TODAY! We've given you all of the ingredients, now it's up to you to put this Instagram strategy to ACTION! You could literally start getting brand new highly-targeted followers today that want what you have, and are looking for a leader like YOU! ACKNOWLEDGEMENT: We want to acknowledge and honor our dear friend and top affiliate April Marie Tucker for providing the trainings above so that we could serve YOU, our beloved audience. April is one of the go-to Instagram marketers in our profession. Thank you for all that you do April to help the MLSP Community get better and better every single day! Let us know in the comments here! YOU are AMAZING! Great stuff about Instagram. If you are building an audience on Instagram. You have to check this out. A complete guide on Instagram marketing. Noted couple of points and ideas which I am going to start using for my Instagram channel and posts. Thanks for putting these all together at one place. Very helpful.